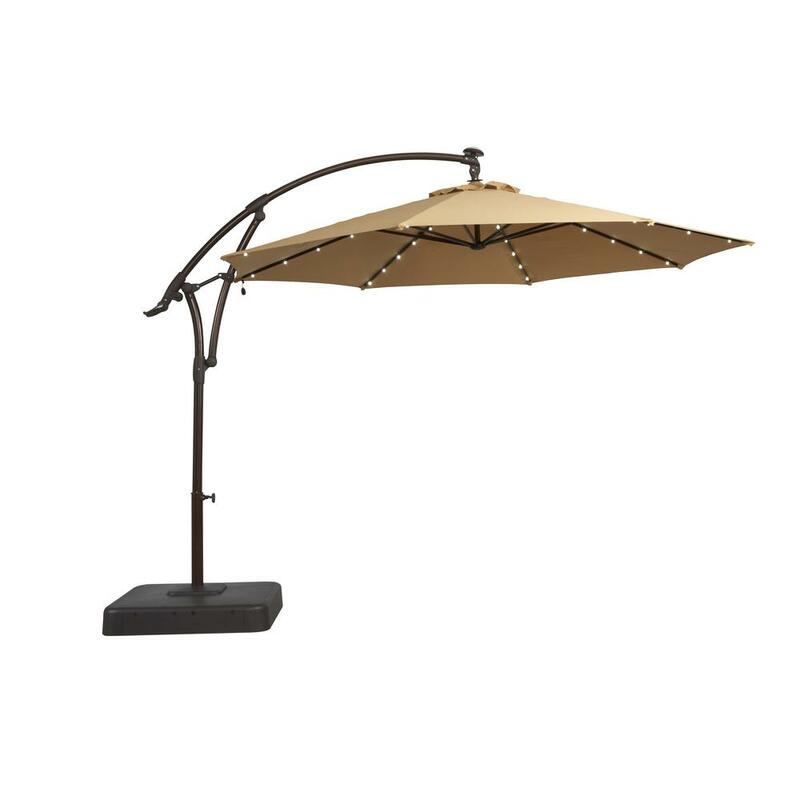 This is the summary of consumer reviews for Hampton Bay Carriage House 52 in. 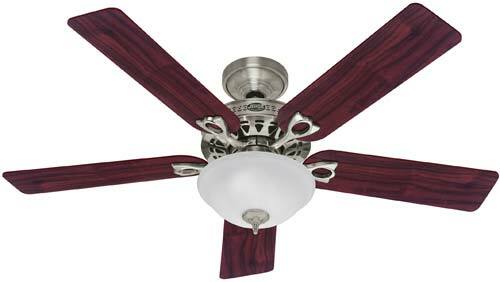 Indoor Iron Ceiling Fan (Model: 46011). The BoolPool rating for this product is Good, with 4.00 stars, and the price range is $85.00. 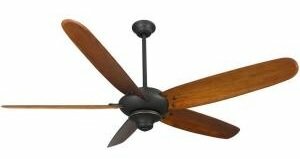 The Hampton Bay Carriage House, a 52” indoor Iron finish Ceiling Fan for mid to large sized rooms, recaptures the authentic vintage look. 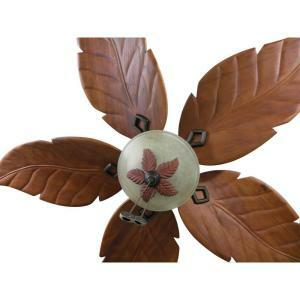 The fan features 5 reversible walnut and rose wood blades for a versatile look that compliments a wide variety of room décor. 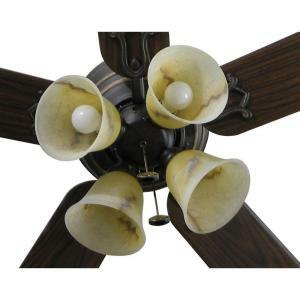 The 4-light kit with antique beige alabaster glass shades uses four 60 watt standard bulbs (included). The light pull chain has variable settings of – all four lights, two light, two opposite lights or no lights, depending on how you wish the light to be directed. A standard 3 speed pull chain allows quick and easy adjustments. 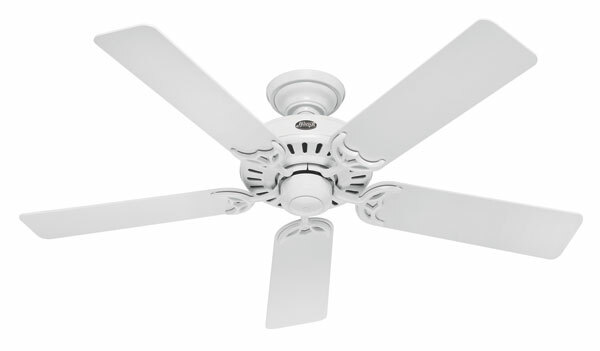 The Power Plus motor quietly delivers up to 4,935 CFM airflow, and the fan's flush mounting style makes it an excellent choice for rooms with low ceilings. A few reviewers mention that the light fixture stopped working after couple of years. The screws on the light fixtures did not match the holes in some cases. The brightness of lights may not be enough for larger rooms. Overall, the Hampton Bay Carriage House is a recommended product for quite motor, easy setup and great price range. The unbeatable looks and good color combinations definitely blends easily with any décor. Lights brighten room very well. There's enough light to light up the room. The looks can't be beat, especially in a mid size room to a large room. Moves air quite well in a 13x15ft room. I've a large bedroom and it keeps room very cool. My only issue with the fan is my room is rather large and the light is just not enough for the size of the room. $69, put these in all rooms of the house. I've the same fan in my bed room. It's very quiet as well and easy to install. This fan was very easy to install. I Love them and they were easy to install. I recently purchased this fan and found it easy to install. It was very easy to install not taking very long at all. This fan was easy to install and is so quiet I some time don't think it's running. Once installed, the fan operates silently. I don't consider myself the most handy person and I found this fan very easy to install. Well made, quiet motor, love it. The light shades are beautiful and allow for plenty of light to shine through. When I noticed that light bulbs on both fans were out I figured the original light bulbs were junk. Plus, I love how you can pull the switch to give options of two lights on or four lights on. The lighting assembly on the HB's gives off very good light. I purchased new bulbs and the lights still don't work. The main reason I purchased this fan was because it uses regular light bulbs, not incandescent. It looks great when installed. 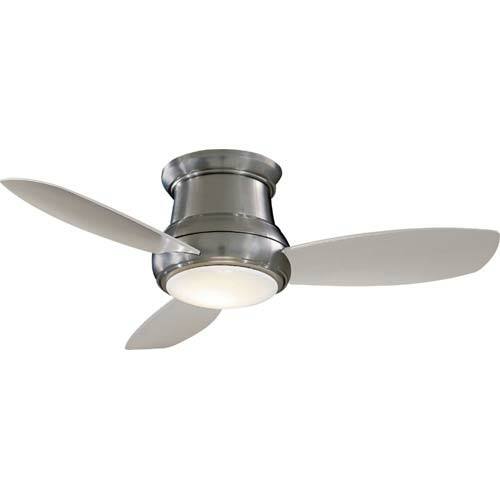 Very nice fan, easy to install looks great in my bedroom, great buyfor the price. Love the look and it's quiet. It also installed easily, puts out lots of light w/standard bulbs, and has an old metal vintage look. The fan is really a nice looking fan. Needed a fan with vintage look for restoring an old 1872 house, and this one was one of few w/the right look, variable speeds/reverse, and antique looking globes. It looks great and is totally quiet. This fan looks wonderful in my living room. My kitchen looks so elegant! The light keeps blowing light bulbs. The light pull chain has multiple settings: all four lights, two lights, the two opposite lights or no lights.. The lights adjust from two lights to four lights at a time. The fan looks nice, but the light atachment for it'll only light two of the four lights. Quiet fan with great lighting. 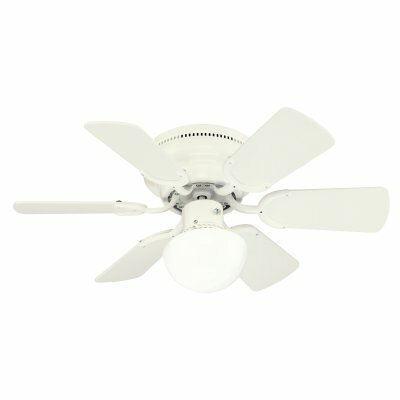 This fan offers 3 different selections for the lights, you can have all 4 lights on, or just 2 at a time depending on how you'd like the light to be directed. The light fixture has beautiful brown and beige color to it. these fans with lights are very nice.